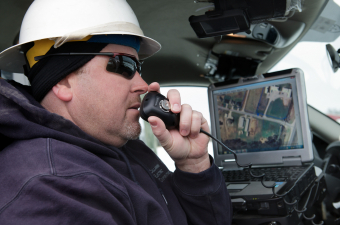 The importance of two-way radio training is a vital basis of communication during operations. Miscommunication can cause tragic accidents because operators do not know how to operate devices, may use incorrect channels, and do not understand correct language and/or phrases of communication. Workplaces are not playgrounds and a formal system of communication is critical for workers to remain safe! It is important to understand why multi-channel operations are required, how to use correct radio operating procedures (procedural words and standard phonetics) and operate portable radios effectively before emergencies occur, and during actual emergencies! When multiple teams work together, it becomes necessary for many users to share a number of channels. When things get busy, people may “talk over” each other unless channel allocations are coordinated, and teams know their channel assignments ahead of time. It is a supervisor’s responsibility to ensure the General Duty Clause, that is: “take every precaution reasonable in the circumstance” found in the Occupational Health and Safety Act (OHSA). If training has not been provided to the supervisor, workers or anyone operating communication devices, a company puts itself at risk of heavy fines under the OHSA in the event of an injury, accident or death due to miscommunication. Workplace Safety Group has an excellent program that many organizations and provincial authorities have hired us to train. We also write relevant Policy and Procedures along with custimized 10 codes for specific use companies. Email us or call Toll Free 1.866.347.7707 and see how we can help "you work safe and injury free".